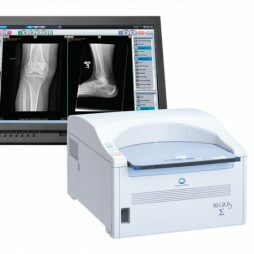 The ImagePilot system includes the versatile ImagePilot all-in-one acquisition and PACS software with the award winning REGIUS 110 Computed Radiography reader. 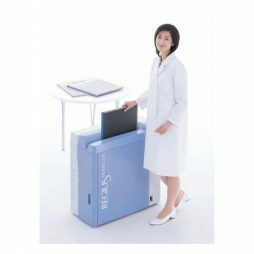 The performance and reliability of this solution can serve the need of busy offices for years to come. ImagePilot simplifies Computed Radiography image acquisition with the push of a button. This is made possible by AutoPilot Image Processing which completely automates the image optimization process. With AutoPilot, you get consistently superb images with every exposure. ImagePilot exemplifies the true meaning of an integrated Computed Radiography system. 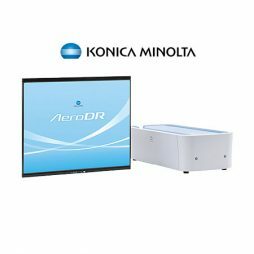 It combines patient registration, Computed Radiography acquisition, image viewing, and long-term storage in one system that is easy to use and maintain. These advanced features eliminate the need for a separate PACS. Plus, converting your practice to digital with ImagePilot is simple and seamless as it utilizes your existing X-ray equipment. 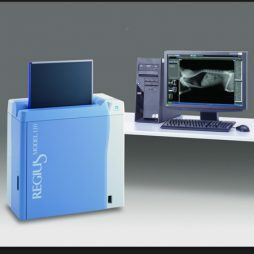 REGIUS Σ delivers a compact and affordable imaging solution that maintains the superior image quality and reliability expected from our REGIUS family of products.Combined with the redesigned ImagePilot software,the REGIUS Σ provides simple operation and smooth workflow to a wide range of medical practitioners. Power consumption is less than one tenth of prior models. The REGIUS Model 110 is a high performance single bay CR system that can process up to 76 plates per hour (14″x17″).